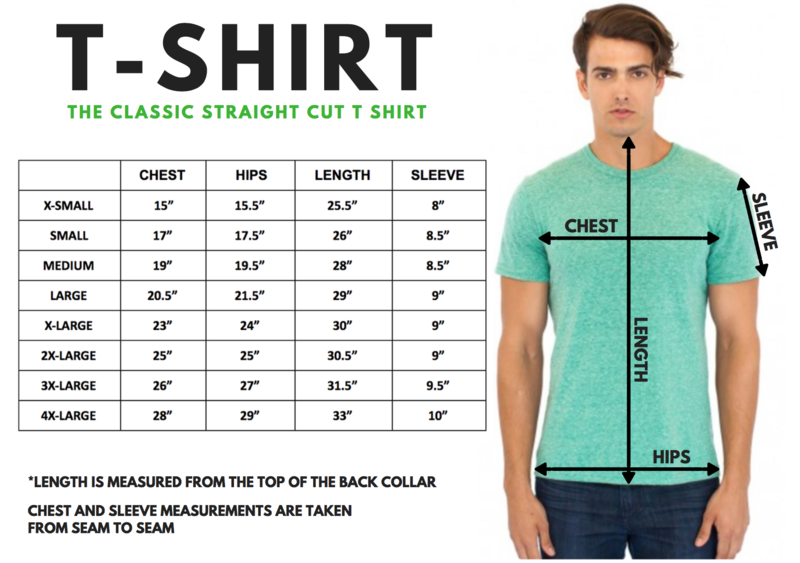 The size chart is the measurement (in inches) of the shirt itself, not of the person wearing the shirt. NOTES ABOUT TERMINOLOGY: People of all genders enjoy wearing our various clothing styles, so we stopped separating them out into "men's" and "women's" styles in an effort to be more accurate and inclusive. 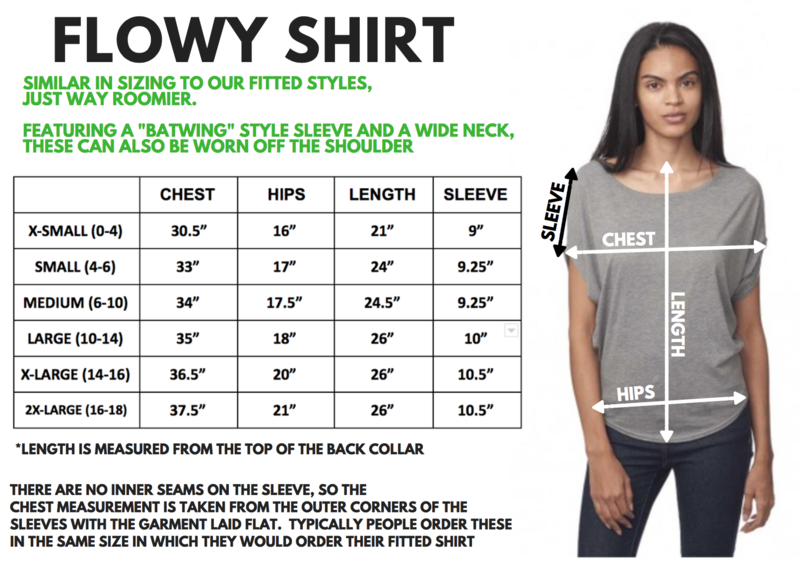 The fitted styles are typically what would be referred to as "women's" styles. If you have any questions or suggestions regarding this, please do get in touch via the contact page. LARGER SIZES? 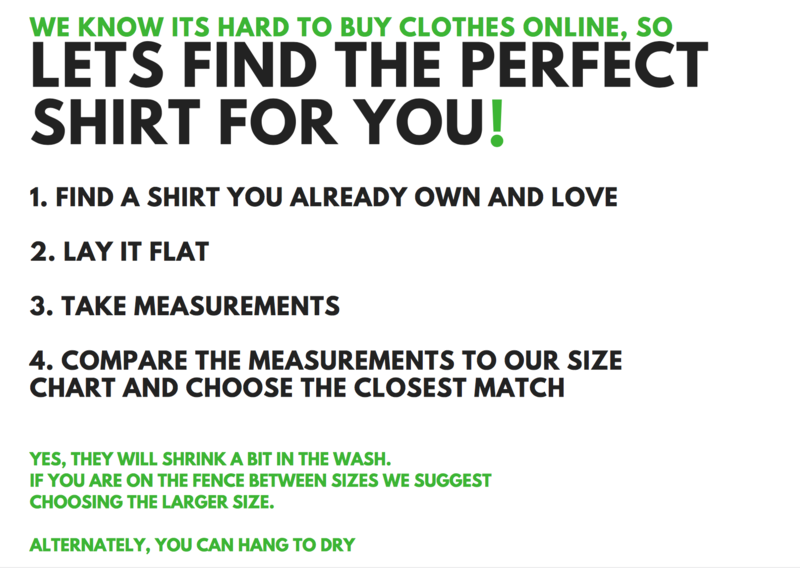 : In every garment we use, we order every sizing option available to us. 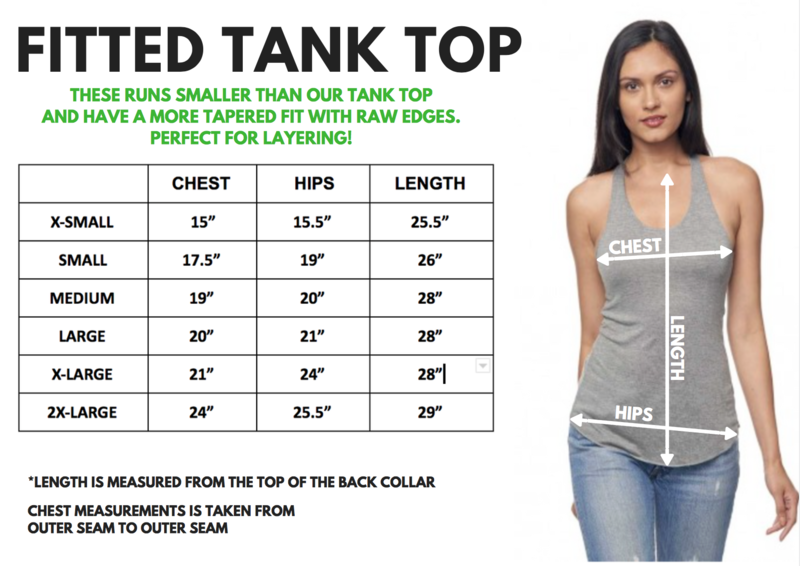 This produces a range of XS to 2X in the fitted styles and XS to 4X in the standard styles. 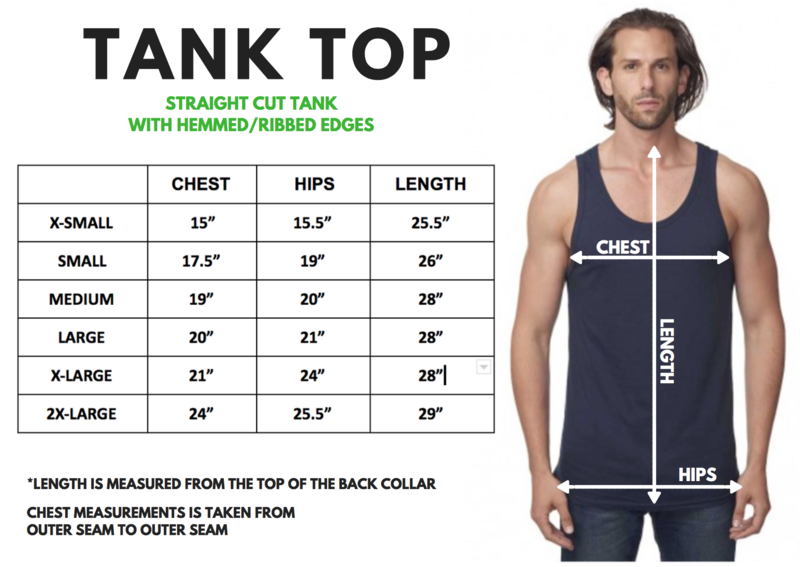 While this offers a range of 15 different sizes to choose from, we realize that this does not necessarily accommodate every body size and type out there. 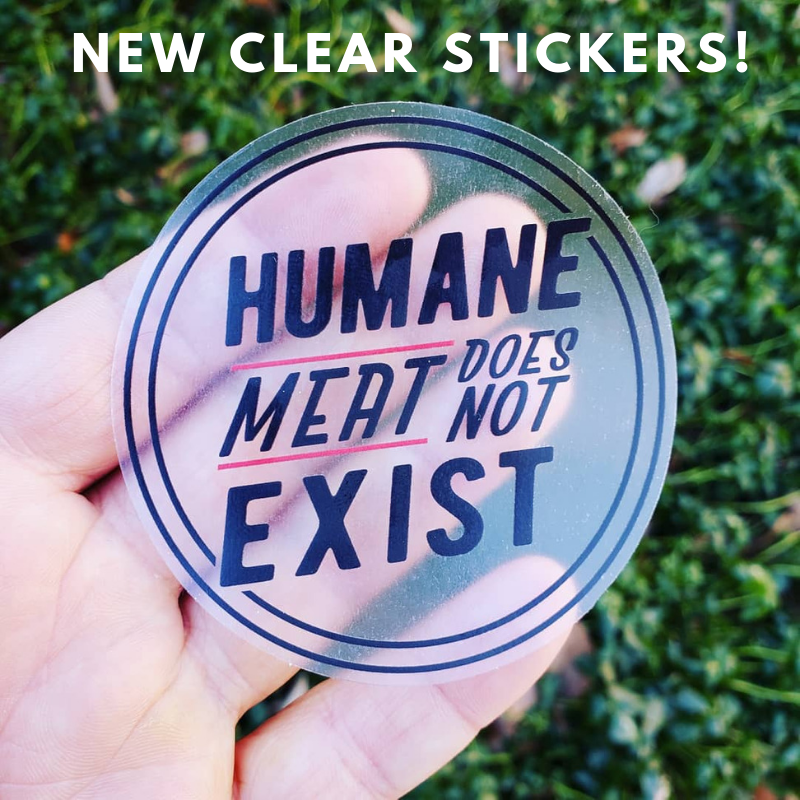 The ethical standards that we have set for the company (organic or recycled, sweat shop free and USA made) also severely limits us in many ways including color, style and, most unfortunately, sizing options. 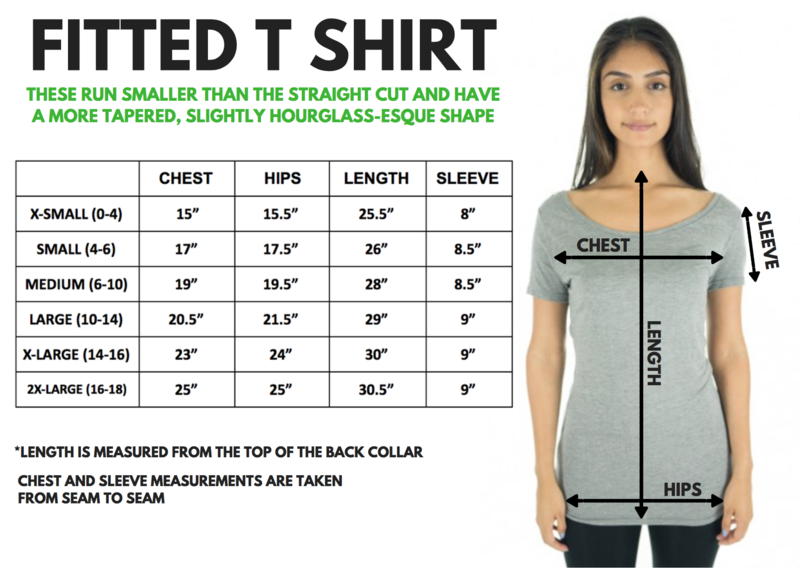 We recognize that this is not an ideal situation and are constantly on the look out for other garment manufacturers who can create sizes above 3X that don't compromise our commitment to ethical labor practices and eco friendly materials. If you have any leads in this department, please get in touch! SHIRT BRAND: The brand we currently print on is Royal Apparel, which has a very similar fit and feel as American Apparel.